Every little monkey could use something cute to take his or her lunch to school in! Charlie recently started pre-school, and four days a week he brings his breakfast to school with him. Being new to the pre-school scene, on his first day, I just packed his food in his backpack and sent him on his way. The first thing he told me after coming home from school that day was that he needed a lunch box. Ooops. Mommy school fail number one. 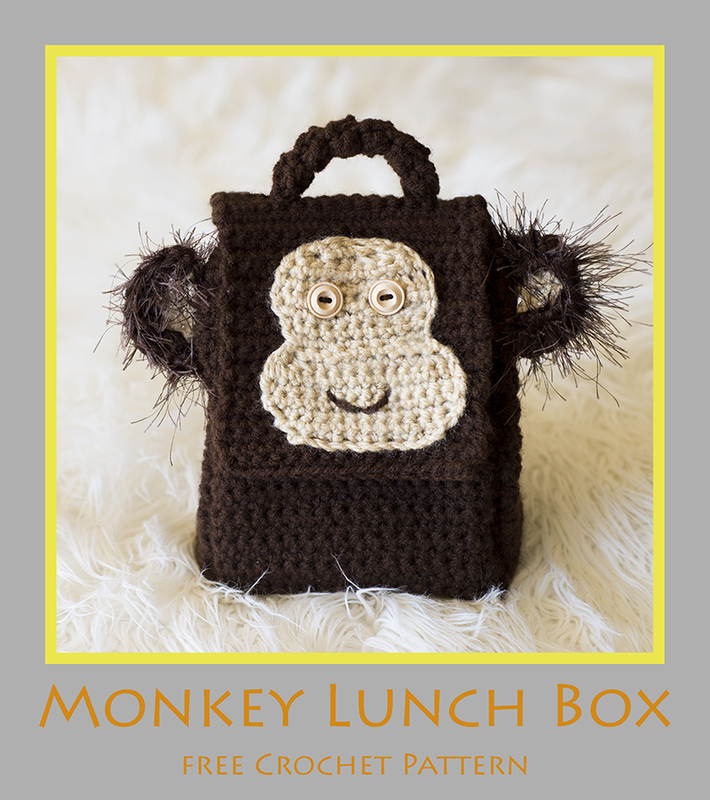 That’s how this cute Monkey Lunch Box was inspired! Even if your kiddos aren’t quite school aged yet, or if they don’t take a lunch to school, though, this box is just as much fun for storing toys, hauling special things around, or just playing with. After all, any parent knows how much kids love to put things in and out of boxes! This free crochet pattern is part of the Holiday Stash Down Crochet-A-Long. Each week a different designer has been releasing a free pattern that’s easy to make out of stash yarn and that’s wonderful for a Christmas gift. If you’d like to make this lunchbox along with the group this week, check out the Holiday Stash Down Facebook Group by clicking here. If you make one during the Stash Down, you can enter to win a great prize! 3. Download, Save, and Enjoy! Loved making this pattern! Loads of fun & my 2 year old granddaughter loved helping make it. Naturally her 6 year old sister wanted one too!Easy pattern even for the beginner. Thank you very much for sharing your lovely patterns with us. Much appreciated. Thank you Melody! I have been to Ravelry and ‘Qued’ as well as ‘added to my favorites’ along with notes for a future idea regarding this lunch box!!! Now if I just could finish the Christmas present I’ve been working on; just about done then to block it and off to do the fun things on the HOliday Stashdon!!@! So cute. Thank you, Melody! Love the lunchbox!! I have 2 boys who will LOVE to have one of their own 🙂 Thanks! I just showed the picture to my 4 to and she went gaga! Looks like its on my ToDi list! Thanks so much for this darling pattern. I have a grandson in mind who will love it. He’s been called monkey all is life, he’s now 24. Your patterns are always so cute and a joy to work. Thank you for the lovely pattern added to my favs & queue. 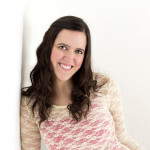 Looking forward to cast in on soon!!! I can’t wait to make this for my nephew! thank you! love the fuzzy ears and happy face 🙂 thanks for sharing with us! So glad you love it! Enjoy!